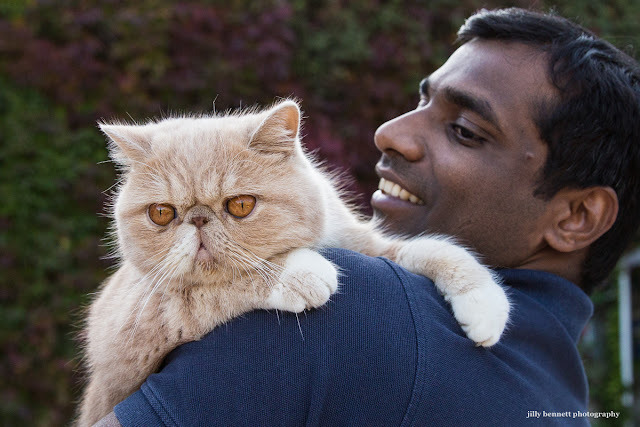 Another shot of the entrancing Igloo, the Cheshire cat, with his owner, my friend Manoj. They live in Gorbio village. Une autre photo de l'envôutante Igloo, le chat du Cheshire, avec son propriétaire, mon ami Manoj. Ils vivent dans le village de Gorbio. Good looking inhabitants of Gorbio! Igloo's so cute... and big by comparison. That cat could ward off an attack by the Russians.